Sometimes in life you see things that totally astound you. Today I saw water in a colour I have never seen before. You need to experience this kind of stuff in real life ... mainly because no one is ever going to believe you if you tell them water can be bottle green and clear as crystal at the same time. And cold enough to make you gasp when you put your hand in it. Like molten ice. This is on the North Bend Trail at Golden Ears Provincial Park in British Columbia, Canada. I love going back to the same place several times to see how it "lives" in different weather and changing light. I have never been let down or disappointed in what Mother Nature has in store for me. I have written before about this park, but I think it deserves more than one entry into Places to Visit Around Vancouver. There are so many trails and sights to see here that one entry just does not do it justice. And its easily accessible for a couple hours of nature bonding when the city just wears thin for you. I come back from outings like this totally at peace with whatever the world has to share with me. Bonus when 1 out of 120 shots turns out good enough to share with others that care to look. Well, that's photography for you. Very similar to fishing, you just never know what you are going to get, and anything is a bonus. I'm not sure life gets any better than this. If it does, please let me know in case I miss anything. Sounds amazing! 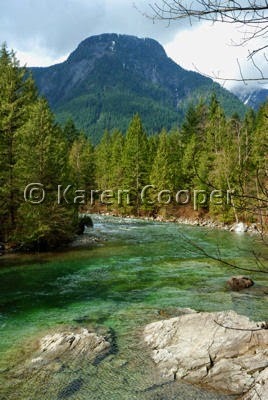 I'm thinking of going camping here next month....To the North Beach campground in Golden Ears. I've heard some mixed things though-have you been?